Medium Catering First Aid Kit. Suitable for medium sized food businesses. Suitable for medium food businesses such a cafeterias, restaurants and catering businesses . Contents meet the Department of Labour Guidelines. See below for a complete list of contents. All orders are couriered out either the same or next business day with tracking number provided. We have a high turnover with new stock arriving regularly, so you won't receive old or expired items. Melanie from Waihi Beach bought this item recently. 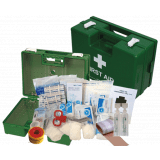 Medium Catering First Aid Kit suitable up to 12 persons. Ideal for medium sized food businesses such a cafeterias, restaurants and catering businesses . Contents meet the Department of Labour Guidelines. Case measures 27cm x 19cm x 12 cm. 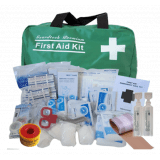 This kit is also available as a soft pack. 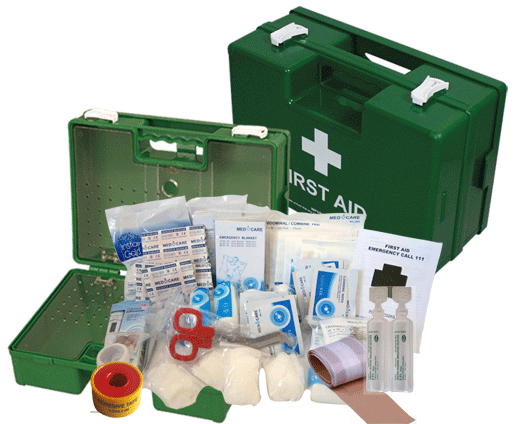 Medium Catering First Aid Kit designed for up to 12 persons. Have any questions before purchasing? Give us a call on 0800 101 909 and we’d be happy to help. See also First Aid For Workplaces – A Good Practice Guide .